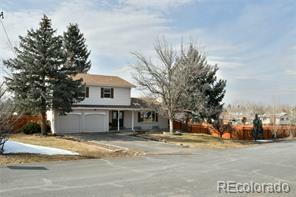 Lovely 4 bed/3 bath home w/ amazing mountain views! 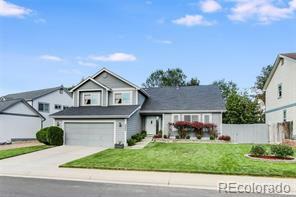 This home floor plan features a formal living and dining room, updated kitchen with Corian counters and stainless appliances, spacious family room and 4 spacious bedrooms. Master suite also features a gas fireplace and balcony to go out to and enjoy the beautiful mountain views from. Gleaming hardwood floors, newer carpet and roof are just some of the updates this home has. Huge backyard has a deck and patio area with unbelievable views.